I was being arch, since the book was crammed with as many intellectual concepts as training techniques, many of the former of which I suspected would sail over the heads of most golfers. But the approach appealed to me, a master of potential over results. The vision, in brief, suggests that players have probably made a birdie on every hole at their home course over time. Do it in one round and you have a 54. Impossible? So was, once, the four-minute mile. And last year on tour Jim Furyk shot a 58. Four strokes to go. 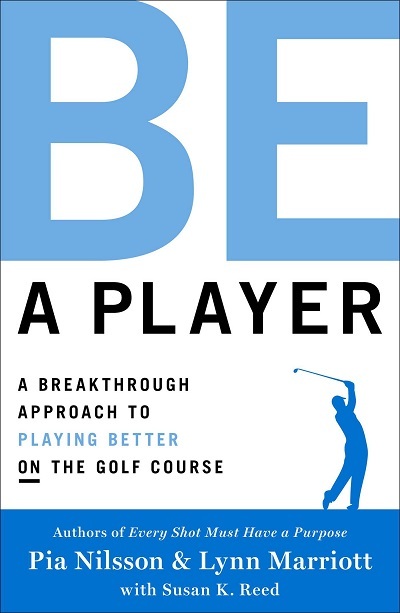 The duo’s new effort, Be A Player (Atria Books, $25), written with Susan K. Reed, might be concisely described as the human potential movement for golf, far more concerned with a mental than technical approach to improving one’s game. More accurately, it’s about one’s mental awareness of how one approaches one’s game, and supplies a series of “On-Course Explorations” to lead a player closer to Flow, the state of peak performance. I’m being arch again. I actually think the book is packed with intriguing information and advice, and I look forward to trying out many of the Explorations. But I may skip the skipping. It was interesting to read Be a Player right after plowing through Tiger Wood’s tale of one of the most peak performances ever. 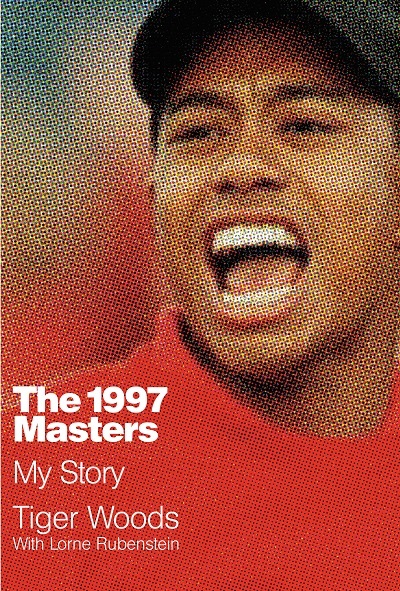 The 1997 Masters: My Story (Grand Central Publishing, $30) came out just in time for the 20th anniversary of Tiger’s epic 12-stroke victory, securing his first major title, and electrifying the world of golf. This book won’t have the same effect, I’m sorry to say. It was written with Lorne Rubenstein, one of the best golf scribes we have, and I can only imagine that this promising assignment was like trying to get blood from a rock. Tiger has never been publicly known as a gregarious sort—indeed, he gets a little guarded and defensive here about the guarded and defensive interviews he gave at Augusta in 1997—and he hasn’t magically transformed himself between these covers. The voice we hear—and let’s keep in mind Tiger is 40 now, and he’s been through a few things—sounds strangely jejune. Maybe Tiger (or Rubenstein) was trying to recreate the Tiger of 20 years ago, but it doesn’t ring quite, well, adult enough. The book proceeds in a day-by-day chapter sequence, with a promising beginning, talking about Tiger’s less-than-promising start at the tournament, a 40 on the front nine. I was fairly quickly reminded of Jane Levy’s Sandy Koufax: A Lefty’s Legacy, which took an inning-by-inning chapter sequence around the Dodger great’s September 1965 perfect game. It’s a sound structure, giving the authors ample room for all sorts of career-spanning asides while maintaining some forward momentum toward a known conclusion. The trick is to create some excitement. The late great Herbert Warren Wind was a master at this; his articles about tournaments in The New Yorker appeared weeks or even months after the event, yet couldn’t have been more thrilling. Levy pulled it off, Woods does not. He actually falls into the trap of talking about shot after shot as the tournament progresses, and any duffer whose eyes have glazed over as a partner begins a recitation of a round knows how plodding this can be. True, Tiger’s shots were a little more meaningful—heck, downright historic, but here they’ll soar only for the most rabid golf geek. There are worthwhile nuggets in the book—Tiger seeking advice from some of the greats he was about to supplant, references to the way Earl Woods trained the young Tiger, Tiger’s thoughts about what his win meant for minorities. But it all suggests this might have been a better book if it had merely been about Woods, and not by him. Two volumes from Skyhorse Publishing are neither weighty nor disappointing. They’re merely enjoyable. 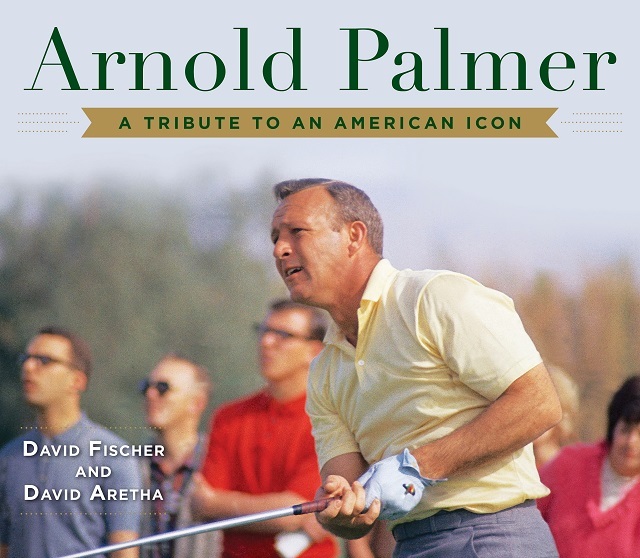 David Fischer and David Aretha’s Arnold Palmer: A Tribute to An American Icon ($24.99) goes over a lot of familiar ground in recounting the life and career of the King, and in no way threatens to topple the more inclusive and journalistic biography by Tom Callahan reviewed here, first in what we predict will be a long and steady stream of Palmer tomes. In 1968 Palmer became the first tour player to pass the $1 million mark in career earnings. His top earning year was 1971, pocketing $162,896 after winning four times in 24 starts. The 2017 Byron Nelson tournament ended as I wrote this, and four players tied for ninth all earned $195,000 from that event alone. They can thank Palmer, and Woods, for a lot of that extra change. 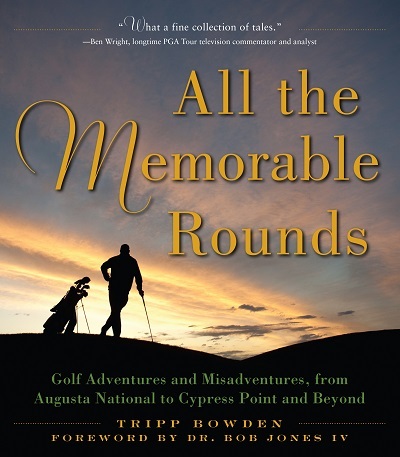 The spirit of the game never really changes, and it is the soul of golf that Tripp Bowden is chasing in All the Memorable Rounds ($24.99), a series of anecdotal essays keying on various courses, famous and otherwise. Bowden, the first full-time white caddie to ever loop at Augusta, and author of the previous Freddie & Me about Augusta National’s long-time caddie master Freddie Bennett, recounts some of his earliest encounters with the game he clearly loves, and presents a colorful cast of characters who helped make the particular rounds described as memorable as they are. Actually, like a fair-haired Tom Sawyer, Bowden presses some of these characters into service, and has them write 12 of the 22 chapters. But I suspect that Bowden edited some of those pieces, too, because there’s something of a southern twang throughout the book, and a suspicious abundance of wry metaphors even in the guest contributions. Bowden wholly ignores one of the bits of advice in Strunk and White’s classic The Elements of Style: “Do not affect a breezy manner.” There’s plenty of wind blowing through these accounts, but it’s all light-hearted, poignant and fun. And in the best way, kind of like the game itself. 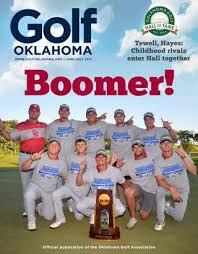 This piece originally appeared in the June-July 2017 issue of Golf Oklahoma magazine, in slightly different form.